Summer is here! If you’re looking for family fun, a trip to the beach can be an affordable option. These suggestions can help you stick to your budget. Going to the beach with friends or extended family can make a good trip even better! Why not carpool to save on gas and parking costs? If you plan to go for a few days, rent a larger house or cottage that will house the whole group. This is usually more economical than paying for separate hotel rooms. You will also save on eating out by being able to prepare your own meals. Save even more by locating a place that is a few blocks away, rather than right on the beach. Camping is another great, affordable lodging option. Many campgrounds have free entertainment for kids including arts and crafts and free outdoor movies. Purchasing beach gear, sunscreen, towels, etc. will always be more expensive at the beach. Make sure to buy these items in advance and bring them with you. 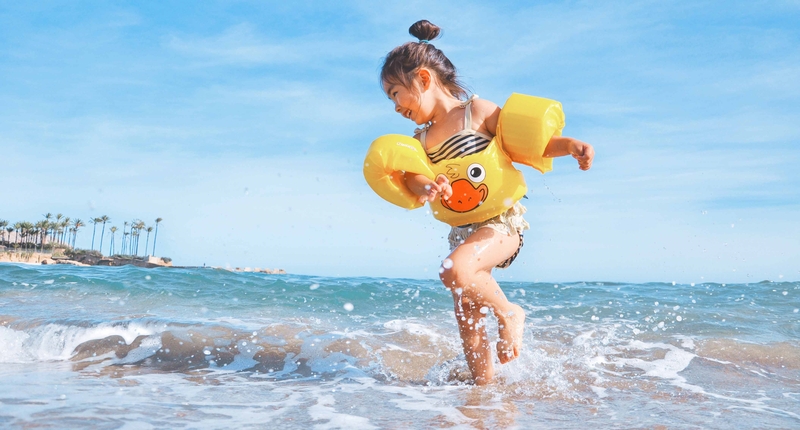 Your local dollar store is a great place to find inexpensive beach toys for the kids. Before you go, check out social buying websites like Groupon or LivingSocial for deals on restaurants, entertainment and lodging. When you’re there, take a walk off the beaten path. Often restaurants and shops that are a couple of blocks from the beach are more affordable than those right on the waterfront. Arcades, t-shirt shops and fried dough stands can drain your wallet. Avoid the temptation and find a site that is less commercial. Above all, have fun! The days of summer can be fleeting – get out there and enjoy it!